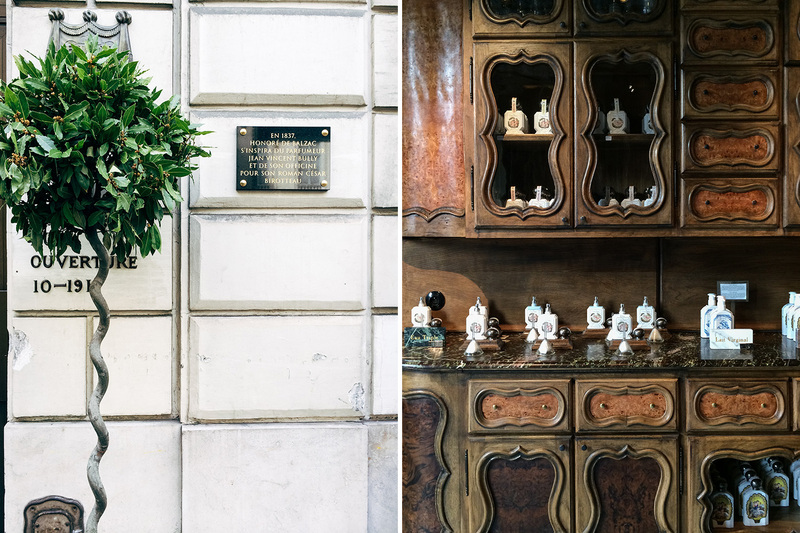 Now here's a seriously beautiful shop to add to your next Paris itinerary (h/t to my friend Kristy for bringing it to my attention!). 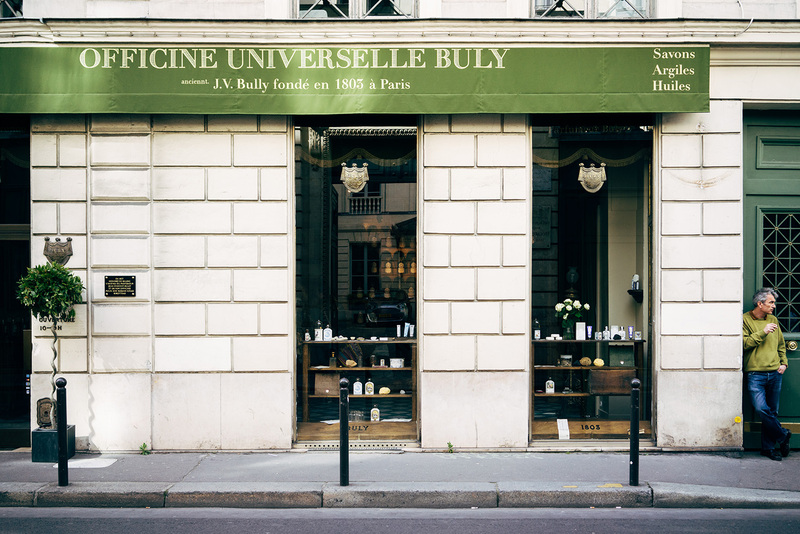 Buly 1803 is one of those shops that's almost too much. I really didn't know where to look first. And it's not that it's a large space, it's just that there's so much attention to detail. Glorious detail. 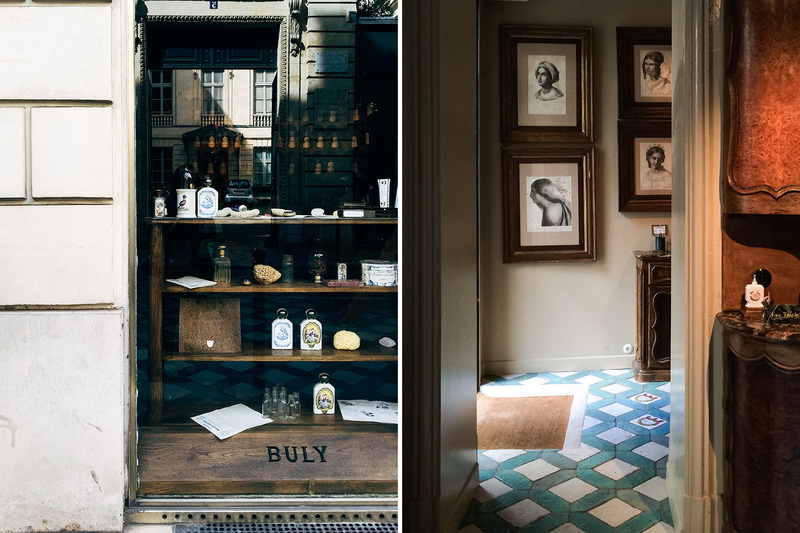 Although Buly 1803 is a newly opened shop, it's actually a nod to the beauty brand Bully, which was founded by a perfumer in the 19th-century. When a couple found the archives of Bully, they resurrected the brand and modernized the name. I had a fun and hard time choosing a few goodies to take home. I ended up with the hand cream, a soap, and scented matches. 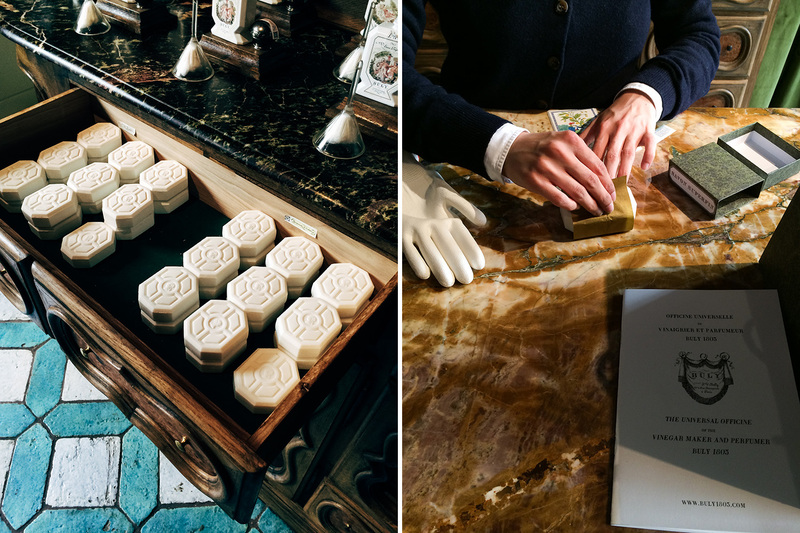 Not only is it difficult to first select the scent of the soap, they make it extra difficult by letting you choose the design on your packaging. And of course, I wanted everything. You are SO RIGHT about the detail! I'm glad I'm not there now because I'd spend all my money....but I also really wish I were. Current Post: Foodie Travel - Let's Talk About Buffalo Wings. Absolutely stunning! What's your plan of action when shooting private businesses? Do you normally ask permission first or just shoot from the hip? It totally depends on the atmosphere of the place. If it's super quiet and I'm being watched by sales associates, I would ask. In this case, there was enough hustle and bustle and I was very discreet with my iphone, so I didn't ask. God so beautiful! Alice, do you use vsco? if so, do you have a favorite preset? 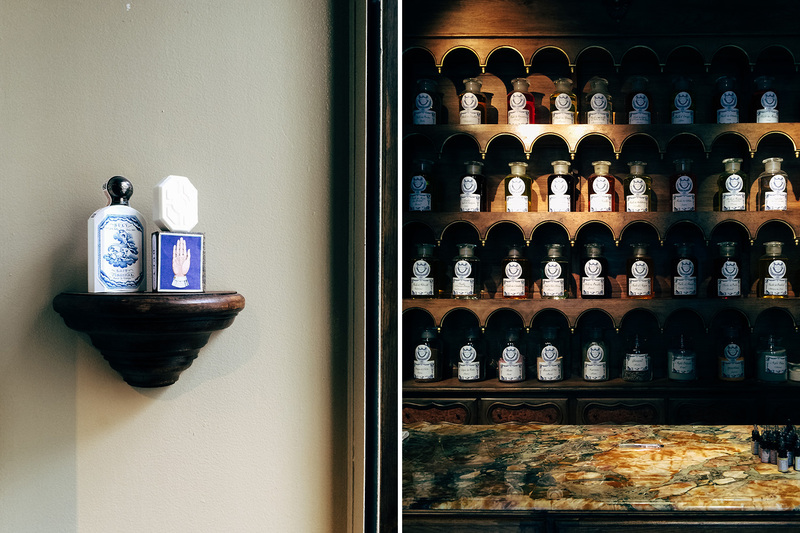 Love the idea and decor of the place. Wow I love the soap bar designs! They're so elegant! I'd definitely love to visit this store someday! Glad you found it! Your photos never fail to impress me. So beautiful! Love old and worn textures. Where may I purchase stateside?